Nokia Corporation (ADR) (NYSE:NOK) took a beating Thursday morning after a disappointing quarterly earnings report, seen in some circles as miserable, with shares down nearly 10% in pre-market trading. What made this disappointing was all of the optimism surrounding Nokia and its flagship Lumia handset running the Windows Phone 8 operating system by Microsoft Corporation (NASDAQ:MSFT) . Things had been looking positive for the Finnish handset maker based on Lumia sales, but while this was true, the Lumia line was limited compared to the rest of the handset stable for Nokia. Sales had to be robust to cover the other areas where Nokia was due to lose ground. Unfortunately, lose ground it did. However, there is certainly some positivity to be gained out of this report, enough that maybe the apocalypse isn’t coming quite yet for Nokia Corporation (ADR) (NYSE:NOK); only this time around, an even better quarter might be necessary to keep Nokia in the worldwide smartphone conversation. We are choosing to see this is a sign that the Nokia resurgence is taking hold, and maybe one more quarter will be the indicator of a turnaround being fully implemented. Why are we still somewhat bullish, even if the numbers didn’t add up very well in general? Let’s break this down. 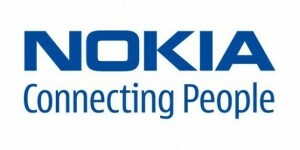 It is usually a positive sign when a company beats earnings estimates, which Nokia Corporation (ADR) (NYSE:NOK) did. OK, so the bar wasn’t set very high (an estimate of -4 cents per share), but Nokia did beat estimates with an EPS of -2 cents. Though overall sales dropped precipitously (from nearly 83 million in the first quarter of 2012 to 62 million this year), the company still reduced its net loss by more than 30 percent from a year earlier. But what about the Lumias? Weren’t they the panacea? While the overall number of smartphones sold by Nokia dropped year-over-year (from nearly 12 million in the first quarter of 2012 to just more than 6 million this time), the percentage of high-end, premium-margin Lumia handsets jumped both Y-o-Y and Q-o-Q, from 2 million Lumias in Q1 2012 to 5.6 million this time. And with Lumia sales expanding by more than 25 percent from the previous quarter (4.4 million to 5.6 million), that helped narrow the earnings gap to just beat estimates. But another similar jump this quarter just might be the recipe for getting that minus off the front of the EPS number. The Lumia 520, 620 and 720 handsets – the smartphones that are a tier below the high-end 820 and 920, designed for those with smaller budgets but a desire for smartphone features, namely consumers in China, India and Brazil – were revealed during Mobile World Congress in Barcelona just in February, and really didn’t start to hit store shelves until the end of the quarter. So this current quarter will be the first time we’ll get a look at how the whole Lumia line is doing. If these additional Lumias can push the percentage of Lumia sales past the 10% mark of overall sales – maybe even touching 12%-15% – this just might be enough to finally staunch the bleeding. Despite the overall gloomy numbers, Nokia Corporation (ADR) (NYSE:NOK) was able to add a little bit of cash to its meager store, up about 2%. When a company has been burning through cash like Nokia in the last couple of years, any increase in cash reserves has to be a welcome sight. Anchored by the U.S., this is a very robust market for smartphones – and is usually a bellwether for many companies. In the overall revenue number for devices and services, North America was the one region of the world where Nokia actually increased revenue from the previous year. If that continues for another quarter, that could be a true sign for a rally for the handset maker, considering how intensely competitive the U.S. smartphone market is right now. Well yeah, but does this prove that the Windows Phone experiment has worked?